Hello! We've created some brand guidelines to help you use our logo, brand and assets. To make any use of our marks in a way not covered by these guidelines, please contact us at info@joestrummerfoundation.org and include a visual mockup of intended use. The Joe Strummer Foundation marks include the Joe Strummer Foundation name and logo, and any word, phrase, image, or other designation that identifies the source or origin of any of Joe Strummer Foundation. Please don't modify the marks or use them in a confusing way, including suggesting sponsorship or endorsement by Joe Strummer Foundation, or in a way that confuses Joe Strummer Foundation with another brand, event, campaign (including your own). We have two variations of our logo for your usage; Black Text & Logo and White Text & Logo. When using our logo you must consider the contrast between the text and your background - the text must be clear and easy to read and not blend into the background of your design artwork. 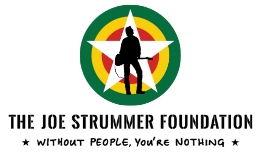 We, The Joe Strummer Foundation, are very proud of our brand, logo and what it stands for. It should not be reproduced without our express permission and it cannot be used to endorse or promote products, bands, services, or anything whatsoever that promotes racial or sexual hatred. All uses of our name, logo and brand must be given permission first. For use on fundraising events please do not use The Joe Strummer Foundation or Strummerville in the title of your event. Obviously, we are very happy that you are supporting our work but sometimes events can become misleading and we ask for your consideration in this matter. All fundraising events - big & small, music & non-music - must be approved by us in writing (or email) before your event can be announced. “The Joe Strummer Foundation is not involved in the organisation of this event. For more information on the charity and its work please visit www.joestrummerfoundation.org"
Please note that we generally don’t permit the use of our marks on merchandise. 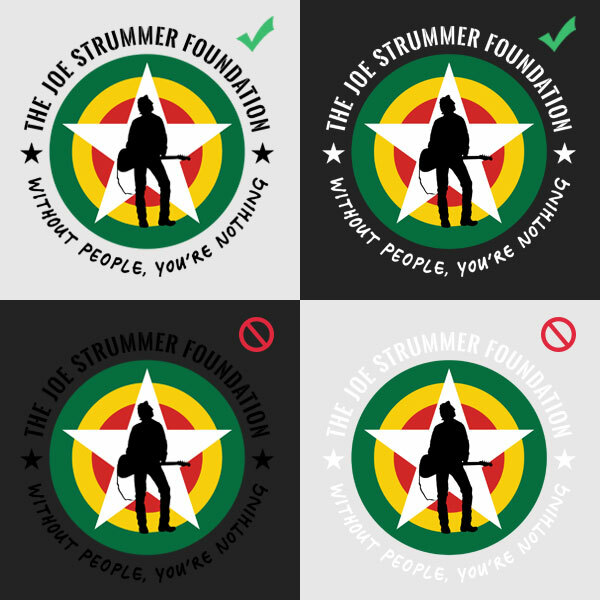 Do not use the Joe Strummer Foundation name, the Joe Strummer Foundation logo, or any other confusingly similar marks on any apparel, product, toy, or any other merchandise. However, if you have an idea for collaboration we are always open to discussion so please do get in touch.